E-discovery company Relativity is today announcing new pricing and licensing options for its cloud-based RelativityOne product, reducing data fees by up to 50 percent, introducing a more flexible billing model for all RelativityOne customers, and creating a special licensing option for e-discovery service providers at a lower wholesale rate. The e-discovery giant hopes to offer flexibility to customers and selling partners with the introduction of five major changes to pricing and licensing models. The global law firm announces migration of Relativity services to cloud-based RelativityOne. Advancements in cloud technology with Relativity's SaaS product and Control Risks' deep in-country expertise enable organizations to tackle forensic investigation and compliance needs more securely and nimbly across the globe. The new pricing is intended to make it easier for all Relativity customers to benefit as e-discovery continues its shift to SaaS. At many Chicago-area tech companies, flexible work-from-home policies are commonplace, but some are taking it a step further this week. Relativity is recommending employees work from home Wednesday. But for those who absolutely must come in — like certain customer support roles – the company promised to reimburse alternative transportation methods, such as ride-share or taxi fares, that the employees might take to stay out of the weather. The leading advisory firm signs on to use the SaaS product in the Republic of Ireland. 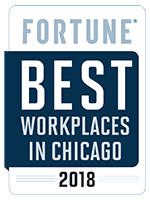 Relativity made the top ten in Built in Chicago's new Best Places to Work in Chicago list. Relativity today announced that it is accepting applications for its 2019 Wired to Learn technology grant through close of business on February 4th. Lawyers Weekly covered a panel at Relativity Fest featuring Jay Carle, partner at Seyfarth Shaw LLP and Kathleen McConnell, senior counsel at Seyfarth Shaw LLP, where they spoke about the benefits of using big data and analytics to both a firm and a client’s advantage. Defending your corporation from advanced cyber threats is a difficult and never-ending challenge. The attack surface of an organization is constantly adapting to meet the needs of a business and attack vectors are increasing nearly every few hours. Tyler Young, Senior Manager, Security Investigations and Analytics at Relativity, shares his insights on detecting, discovering, and eliminating cyber threats. Relativity has expanded to a fourth floor in their Chicago location with highly flexible workstations and collaborative environments to accommodate the growth of the leading e-discovery company. Chris Dale of eDisclosure Information Project interviewed Bill Hamilton of the University of Florida Levin College of Law and heard from him about a new relationship between his university and Southeast University College School of Law in China. Stephen Ehrlich, CIO at The MCS Group, shares his view on the on-premises vs. cloud debate, and what each firm still needs to consider before proceeding with a given project. An e-discovery expert and professor at the University of Florida, William F. Hamilton, has offered an overseas perspective on what China’s law school market looks like, in comparison to that of different jurisdictions. Still have questions about how artificial intelligence, blockchain, and other innovative technologies will be regulated or applied practically? Next year may be the one you find the answer. David Horrigan of Relativity shares his insights about the future of technical competence among legal teams. The discovery process will continue to evolve next year, experts say, with an increased focus on analytics, privacy and more. Janice Hollman of Relativity shares her insights about the importance of certification among paralegals and litigation support professionals in 2019. As you might have guessed, Chicago tech companies are particularly good at throwing parties. Relativity’s 2018 holiday bash was held at the House of Blues and had a carnival theme. The e-discovery company enjoyed a night of performances, classic carnival games and a raffle featuring awesome prizes. Colleen Costello of Relativity shares the details of the annual Holiday Letters campaign. This year, Relativians were able to sponsor over 250 kids from Perez Elementary School and help these students have an awesome Christmas. FTI is expanding its portfolio of services with RelativityOne, and Brian Stuart if FTI Consulting is one of those who has been brought in to help with that in the UK and EMEA. Stuart has had various roles over the years, in law firms and advisory companies, and has worked with Relativity for more than 11 years. Get the scoop on our company and customers by the numbers. Read what industry experts have to say about Relativity. Meet the people who drive Relativity's strategy and business operations. Giving back is an important part of who we are.